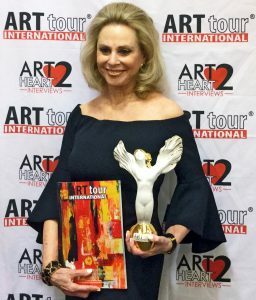 Artist Susan N. McCollough received ArtTour International Magazine’s (ATIM) 2017 “Master’s Award” for Contemporary Art and her painting, “New York, New York,” was selected to appear on the front cover of ATIM’s recent book, “Top 60 Masters of Contemporary Art 2017.” She also received the magazine’s “Artist of the Year” award for her painting, “Between the Lines.” Both awards were presented recently at ATIM’s Master’s Awards ceremony in Florence, Italy. DAPHNE, Ala. — An accomplished artist who has served as a trustee and long-time Art Committee member at the United States Sports Academy recently received two prestigious international awards for her painting. Artist Susan N. McCollough received ArtTour International Magazine’s (ATIM) 2017 “Master’s Award” for Contemporary Art and her painting, “New York, New York,” was selected to appear on the front cover of ATIM’s recent book, “Top 60 Masters of Contemporary Art 2017.” She also received the magazine’s “Artist of the Year” award for her painting, “Between the Lines.” Both awards were presented recently at ATIM’s Master’s Awards ceremony in Florence, Italy. 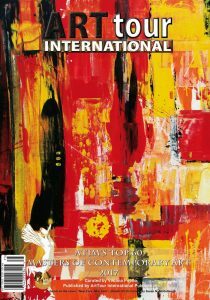 “The magnificent work on the cover of this publication is what we consider the representation of contemporary expressionistic art with a unique and personal approach by the hands of master artist Susan N. McCollough,” said Viviana Puello, ATIM founder and editor-in-chief. 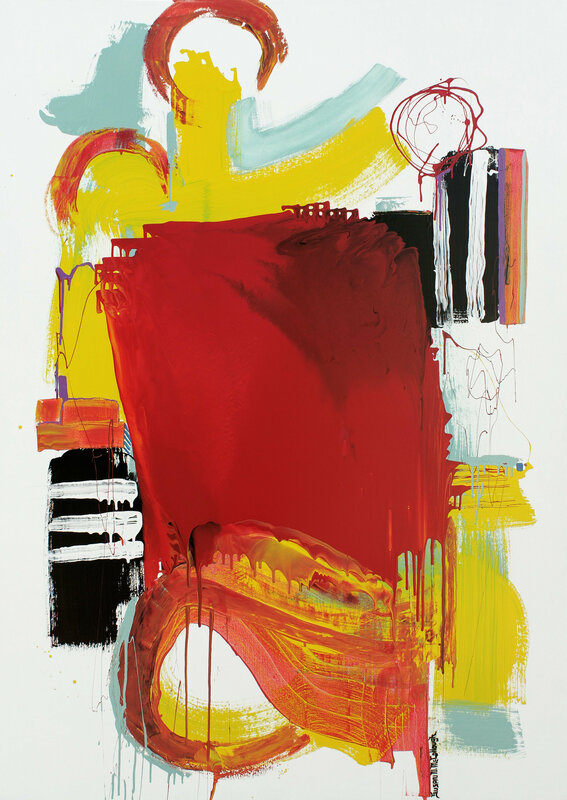 “It doesn’t take long for the viewer to be captivated by McCollough’s color-filled compositions that give the impression of three-dimensional works for their rich texture and unexpected changes of directions. The audience is drawn by a visual symphony to uncover deeper meanings ‘between the lines’ and forms of her vibrant paintings. Artist Susan N. McCollough received ArtTour International Magazine’s (ATIM) 2017 “Master’s Award” for Contemporary Art and her painting, “New York, New York,” was selected to appear on the front cover of ATIM’s recent book, “Top 60 Masters of Contemporary Art 2017.” Shown are the cover and the full painting. 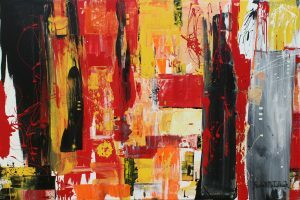 “Using color as a natural communicator in her pieces and the emphasized symbol of expression, Susan N. McCollough brings forth an exciting journey to her audience with imagery filled with freedom of movement and spontaneity,” Puello added. McCollough said the cover painting inspired by New York City was the result of a creative habit she has developed in her artistic career. “Whenever I do a big exhibit I first do an abstract in honor of the city in which it is held,” McCollough said. Of that piece, like most of her creations, she prefers not to interpret the work, but to let the beholder do so. McCollough said she is humbled and inspired by the recent awards. “Awards like these really make me want to paint more and improve my skills as a painter,” she said. McCollough is an accomplished artist with a gallery and studio in Gulf Shores, Ala. Her abstract expressionist paintings have won numerous national and international awards, have been exhibited on four continents, and hang in a wide range of collections. A native of Bronx, N.Y., who grew up in Dothan, Ala., McCollough received her bachelor’s degree in speech and art from the University of Alabama. She was named to Academy’s Board of Trustees in 2016. She previously served 12 years on the Academy’s Art Committee and remains as Artist Emerita. 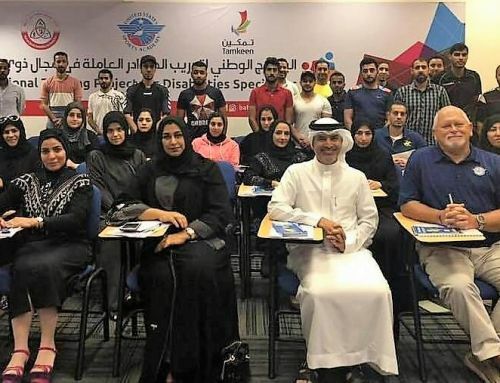 The committee helps guide the development of the Academy’s American Sport Art Museum and Archives (ASAMA) and assists with selection of ASAMA’s Sport Artist of the Year. For more, go to http://www.susannmccolloughart.media/. ATIM is an award-winning publication dedicated to exposing visual and performing artists to the eyes of art lovers worldwide. 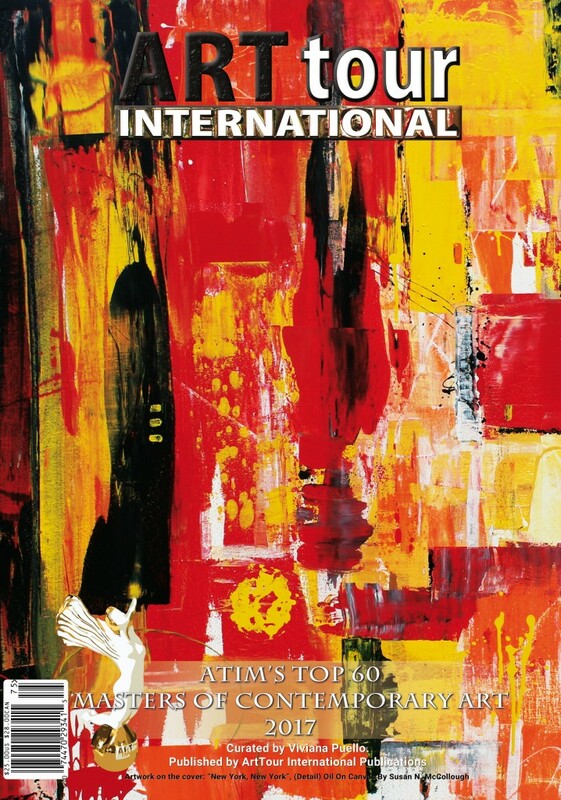 With more than 2.1 million readers in more than 198 countries, ATIM is the fastest-growing art magazine in the international market. 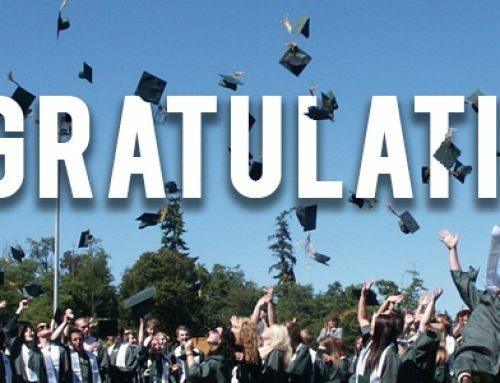 It is published four times a year in print, digital and video formats. Published annually, ATIM’s “Top 60 Masters of Contemporary Art” features the best artists of the contemporary art world from a range of artistic forms. For more, go to https://www.arttourinternational.com/publications/top60masters2017/. Founded in 1984, ASAMA is dedicated to the preservation of sports art, history and literature. The ASAMA collection is composed of more than 1,700 works of sport art across a variety of media, including paintings, sculptures, assemblages, prints and photographs. The museum is open free to the public from 9 a.m. to 4 p.m. weekdays. For more, go to www.asama.org.  For more information about the Academy, call (251) 626-3303 or visit www.ussa.edu.